Classroom Projects: Maximum award of $1,000 grants for any school or classroom project/program. Approximately 12 grants awarded annually. Deadline: Last day of each month. Learn more and apply through the San Francisco chapter. Creative Expression & Art: Maximum award of $500. “Mini-Grants” are awarded for projects from PK-12 at district-run public schools. Successful proposals “foster creative expression, working together and interaction with a diverse community” and are informed by Keats’ life, books and vision. Limit: one proposal per school. Deadline: March 31, 2016. Learn more and apply. Fee-Waived Field Trips: The interactive, hands-on field trips to San Francisco’s Children’s Creativity Museum “foster creativity, risk-taking and exploration” in students. Limit: PK-2 up to 20 students; grades 3-12 up to 30 students. Deadline: None. Learn more and apply for a fee-waived trip. Rides for School Field Trips Program: Free BART transportation for field trips. Deadline: All grants have been awarded for the 2015-16 school year. Learn more to apply early next year. Materials & Supplies: No maximum award. 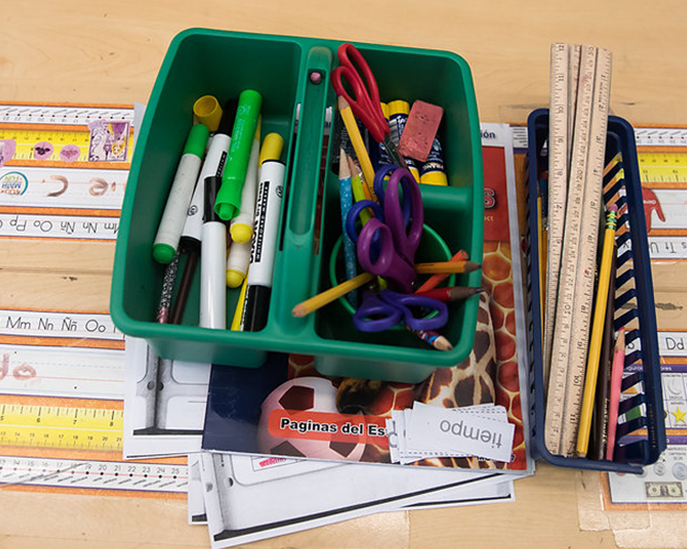 Submit proposals for your specific classroom or school needs, such as supplies. Prospective donors browse inventory of proposed projects online and contribute via the Lantern Project website. Projects posted for two months. Deadline: none. View funded projects and submit a project. Support a Classroom: No maximum award. Post proposals for your classroom or school needs, such as books, field trips or technology. Prospective donors browse inventory of proposed projects online and contribute via Donors Choose website. Deadline: none, though there have been special matching opportunities provided by Foundations, including the NEA Foundation, for members. View current projects and submit a project. Association of American Educators (AAE) is a non-union educators organization focused on student achievement and professionalism in the classroom. While California does not have a chapter, any educator may join. AAE does not engage in collective bargaining. Learn more. Association for Supervision of Curriculum Development (ASCD) is an international membership organization for educators throughout their careers, from pre-service teachers through district superintendents. ASCD focuses on professional development, capacity building, and educational leadership. Learn more. National Board for Professional Teaching Standards (NBPTS) promotes high-quality teaching and learning through its National Board Certification process. Learn more. United Teachers of Richmond (UTR) is the local chapter of the California Teachers Association (CTA), which is the statewide affiliate of the National Education Association (NEA). Visit the UTR, CTA and NEA websites. Members: Maximum award of $3,000. Scholarship awarded to active CTA members currently completing college coursework. Limit: Up to 5 scholarships awarded. February deadline has passed. Learn more. Dependent Children: Maximum award of $5,000. Scholarship awarded to dependent children of CTA members who are active, retired or deceased. Limit: Up to 34 scholarships awarded. February deadline has passed. Learn more. Del A. Weber Scholarship for Dependent Children: Maximum award of $5,000. Scholarship awarded to dependent child of CTA member who is active, retired or deceased. Child must attend or have attended a continuation high school or alternative education program. High school GPA must be 2.0 or higher. Limit: 1 scholarship awarded. February deadline has passed. Learn more. Gordon Bittle Memorial Scholarship for Student CTA (SCTA): Maximum award of $5,000. Scholarship awarded to active members of the Student CTA (SCTA) with a record of high academic achievement. Limit: Up to 3 scholarships awarded. February deadline has passed. Learn more. GLBT Guy DeRosa Safety in Schools Grant & Scholarship Program: Maximum award of $2,500. Supporting projects that promote understanding and respect for those who identify as GLBT as well as scholarships for those who understand the importance of GLBT educator role models. November 2015 deadline has passed. Learn more. Martin Luther King Jr. Memorial Scholarship: Maximum award of $6,000. Scholarship awarded to active members of the CTA or Student CTA (SCTA), or dependent children of active, retired or deceased CTA members who are currently completing college coursework and identify as members of ethnic minority groups, as defined in scholarship materials. February deadline has passed. Learn more. Learning & Leadership Grants: Award amount of $2,000 for individuals or $5,000 for groups. Grants FOR individuals support participation in high-quality professional development experiences, such as conferences and action research. Grants for groups support collegial study, such as lesson plan development, mentoring and study groups. Deadlines: February 1, June 1, and October 15. 150-170 Learning & Leadership Grants typically awarded each year. Learn more and apply. Student Achievement Grants: Award amount of $5,000. Grants are awarded for projects that improve student achievement through critical thinking, problem solving, self-directed learning and critical reflection. Deadlines: February 1, June 1, and October 15. 150-170 Student Achievement Grants typically awarded each year. Learn more and apply. Awards for Teaching Excellence: Maximum award of up to five $10,000 awards; one awardee will receive $25,000. Awards “recognize, reward, and promote excellence in teaching and advocacy for the profession.” February deadline has passed. Learn more. Human and Civil Rights Awards: Awarded to individuals and organizations that have expanded educational opportunities for minority students and educators, and improved intergroup relations in the public schools. Deadline: December 10, 2015 deadline has passed. Learn more. The Fishman Prize: Award amount of $25,000 and 5-week summer residency. Awarded to four exceptional teachers in Title I public schools (at least 40% of students enrolled in free- and reduced-price lunch). Deadline: 2015-16 deadline has passed. Learn more. Teach to Lead: Regional summits focused on teacher-led projects help educators across the country build momentum for their ideas and create action plans for implementation. To be considered for attendance, submit your ideas via the Commit to Lead platform. No charge for the summit; participants responsible for travel expenses. Learn more. Do you know of great opportunities that should be added to this list? Send us a note!